Microbiology is considered as one of the toughest and most scoring subject from Medical PG Entrance Exams perspective. It yields a high weightage in the exams. According to the recent official subject-wise marks distribution for NEET-PG, around 20 MCQ’s are expected from this subject. 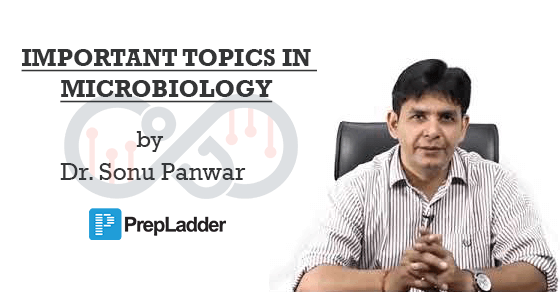 With a view to make your preparations more effective, we approached the famous faculty of Microbiology, Dr. Sonu Panwar to highlight important topics which are likely expected to be there in exam. Dr. Panwar has himself prepared the list of the important topics mentioned below and has advised all of you to be thorough with these topics. Preparing the above-listed topics thoroughly would surely help you to answer most of the questions from Microbiology and will help to you emerge among the Top-Rankers. 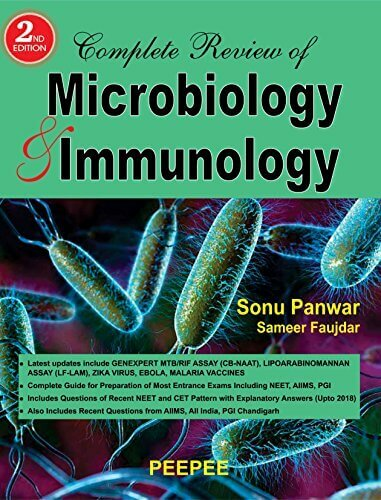 For complete Microbiology & detailed video discussion on the above-mentioned topics, download Microbiology by Dr. Sonu Panwar. The app includes video lectures covering the entire Microbiology, tests with Video Discussion, Question Bank, Free daily updates and much more.